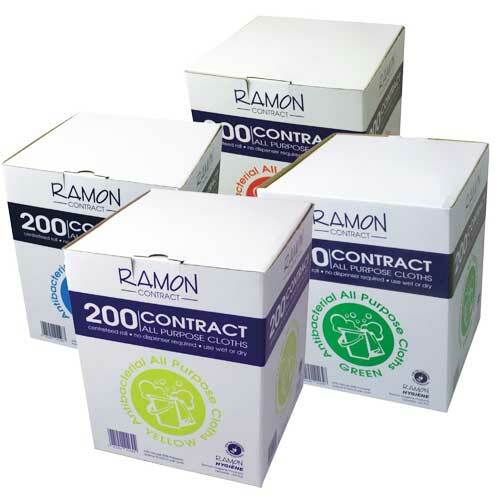 All Purpose Cloths boxed are encased to keep the roll inside perfectly clean. Perforrated roll that can can be used wet or dry and is ideal for mopping up spills, wiping any work surface and general cleaning in any industry. 4 colour options to suit your colour coding areas to help assist against cross contamination, this versatile cloth offers great performance at a very competitive price.